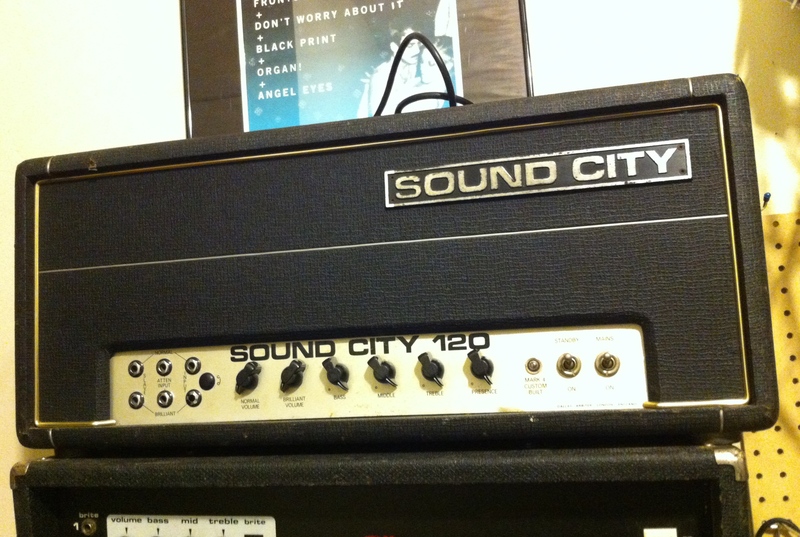 Sound City 120 in for repair. 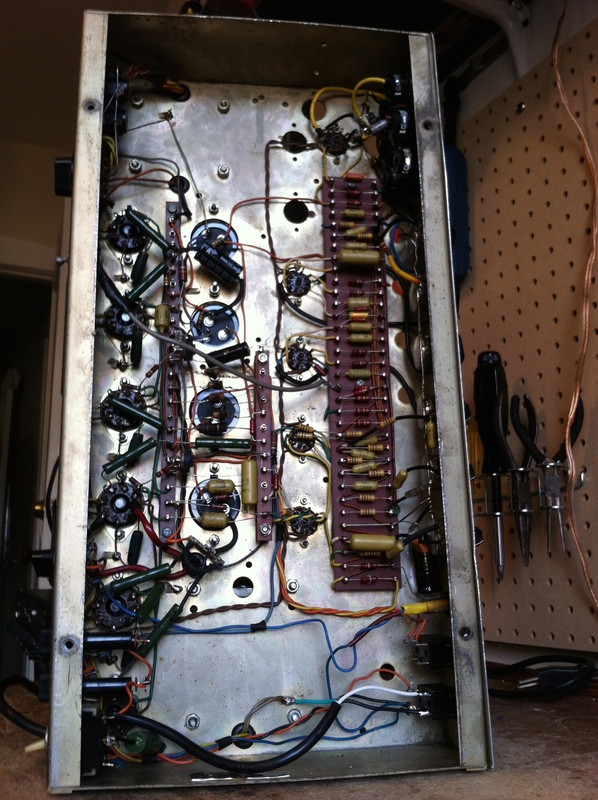 Main problem was a poor solder connection somewhere around the first or second preamp tube causing a crackling sound. This was somewhat hard to find because it only comes up when the amp is vibrating on top of a cab. I had to chop stick the hell out of it. 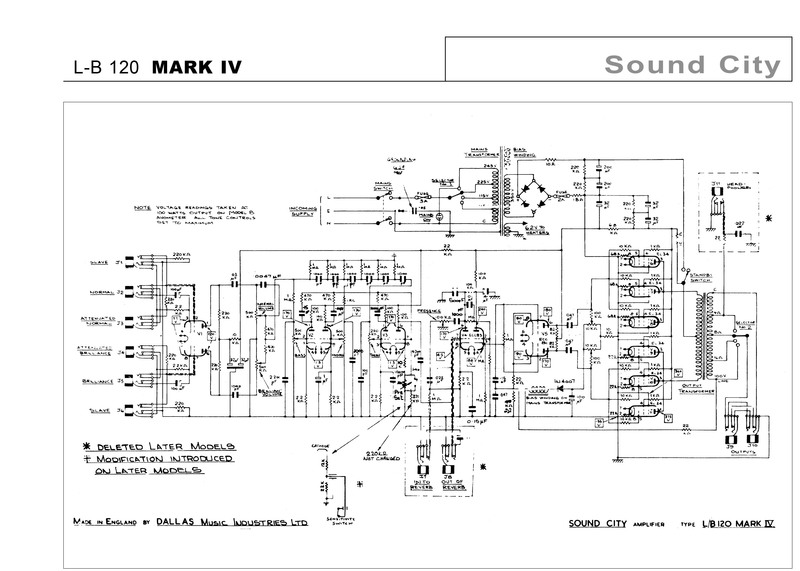 Mark IV has an active preamp so if volume is up but all tone controls are turned down the amp puts out no sound. 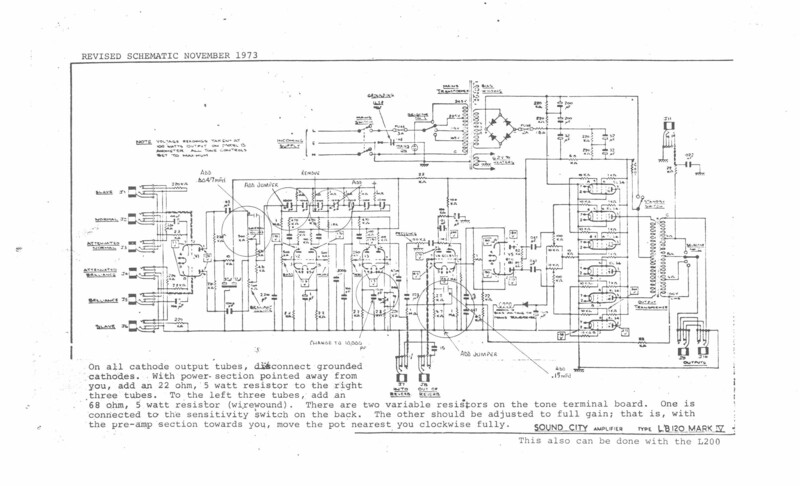 If you are testing this amp for output power and you put all tone controls on 5 like you would with most amps, you will think you have weak output for some reason. This amp will ONLY put out full power if all tone controls are on 10. Poor lighting but you get the idea. Turret board is rugged. 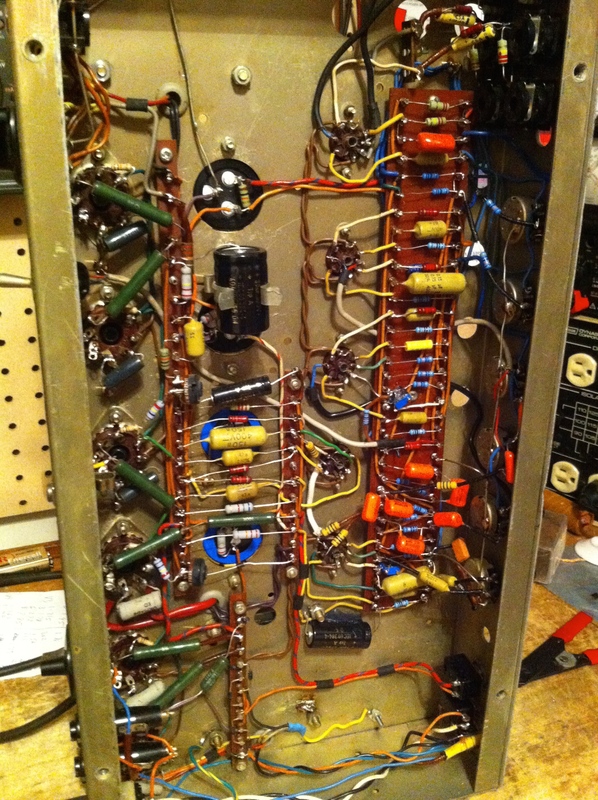 All 12AX7 tubes are in order from top to bottom, V1 to V5, with V5 (bottom-most) as phase inverter. Here is a picture of another Mark IV Sound City 120 and I’m including it because of its better lighting but also because the preamp tubes go from top to bottom of the image V1, V2, V3, V5, V4. Yes, the last two tubes are out of order. If you are getting strange voltage measurements in the V4 and V5 position this is why. Check to see which tube socket couples to the output section via the .047uF coupling caps. 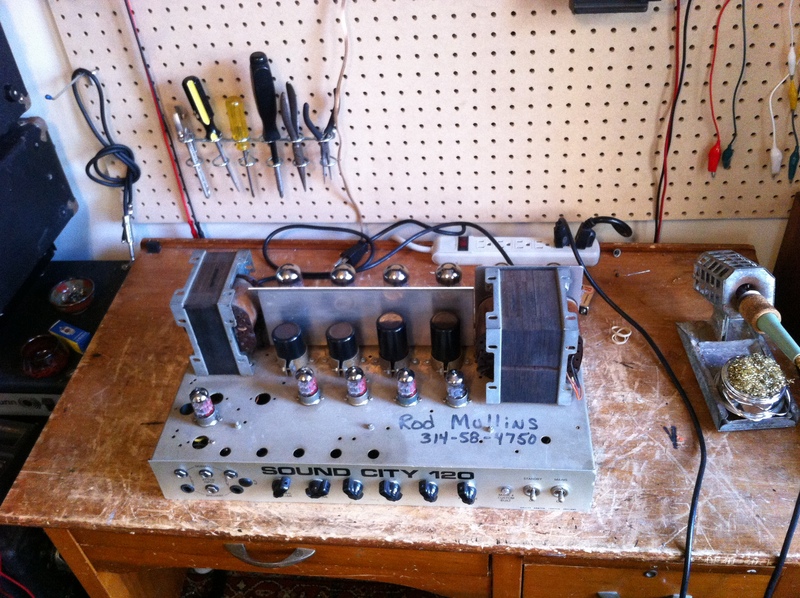 After googling chassis shots of Sound City 120s I did find some more that were wired this way, so I know this is not the only one. Big trap for young players.